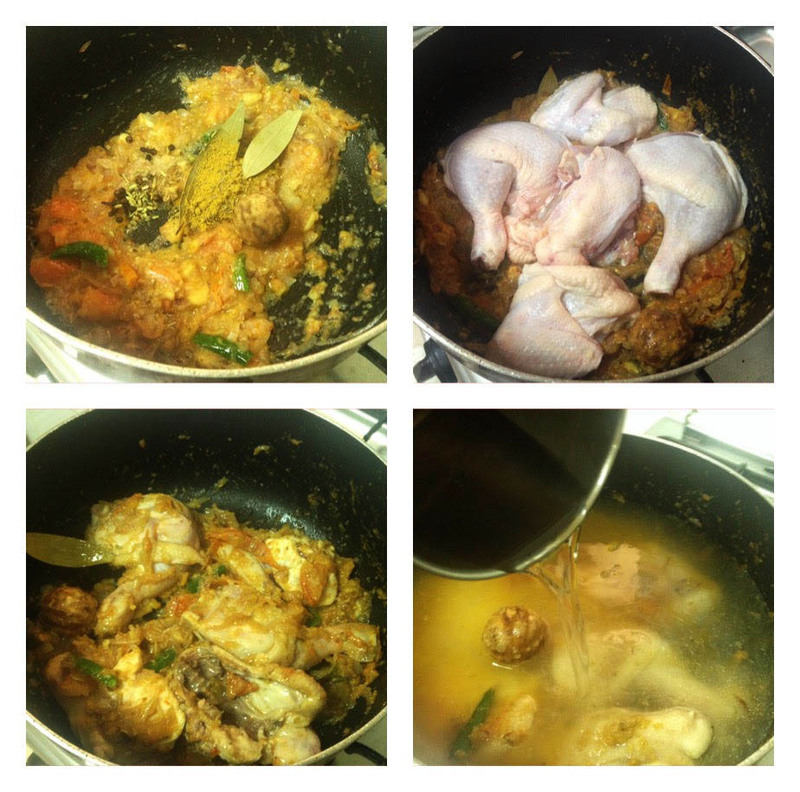 Chicken Machboos is the National dish of Kuwait. 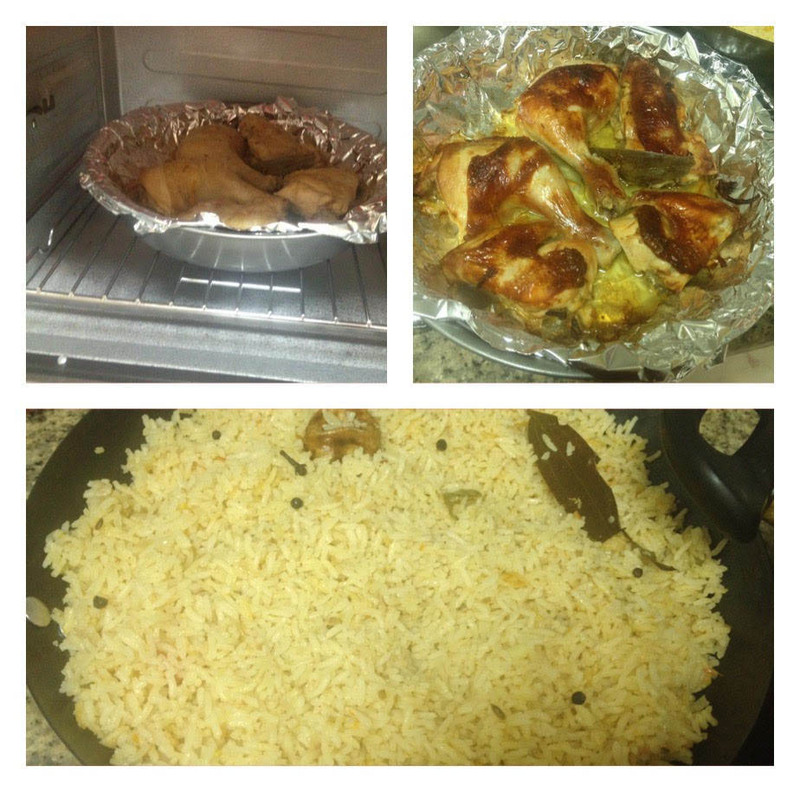 A luxurious dish of rice crowded with chicken, spices and sometimes dried fruits and nuts. It is a popular middle eastern rice dish. 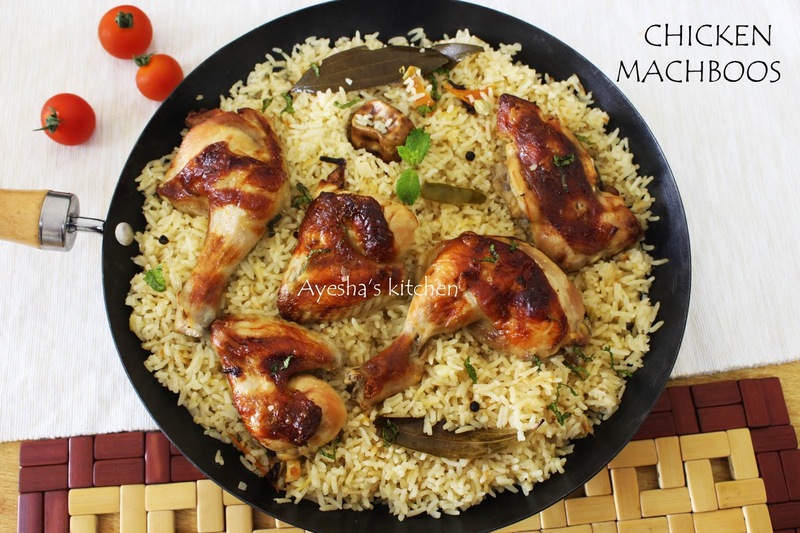 When speaking about the flavor, every spoonful of chicken majboos has a royal indulgence. All u need is the Baharat spice mix (Arabic spices mix) which is readily available in Arabian stores. This spice brings the best flavors to the majboos. Loomi, the dried lemon is another essential ingredient in machboos which gives a pleasant tartness without which the dish is incomplete. 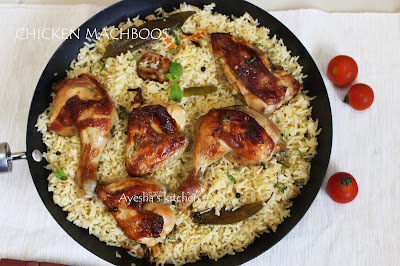 All Arabic recipes have its own flavor because of Arabic spices So here is the recipe showing how to make Chicken Machboos. Do try simple rice recipe. 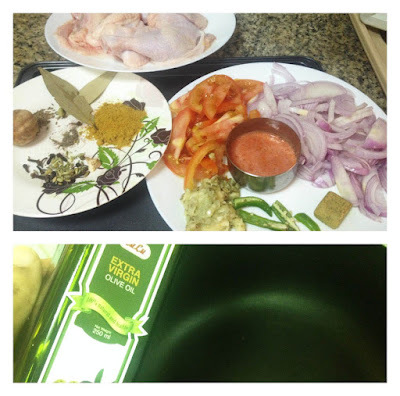 Heat olive oil (3 tbsp) or can use normal oil as well in a wok/ non-stick vessel. Saute the sliced onions until soft. Adding salt at this stage will helps the onion done quickly. Then add chopped tomato, green chili, ginger garlic paste and saute until the raw smell goes and tomato becomes mushy. When done, add the tomato sauce or pureed cherry tomato and mix well. Now mix in the raw spices cardamom, cinnamon, cloves, bay leaves, peppercorns, cumin seed, dried lemon along with the Arabic spice and chicken cube. 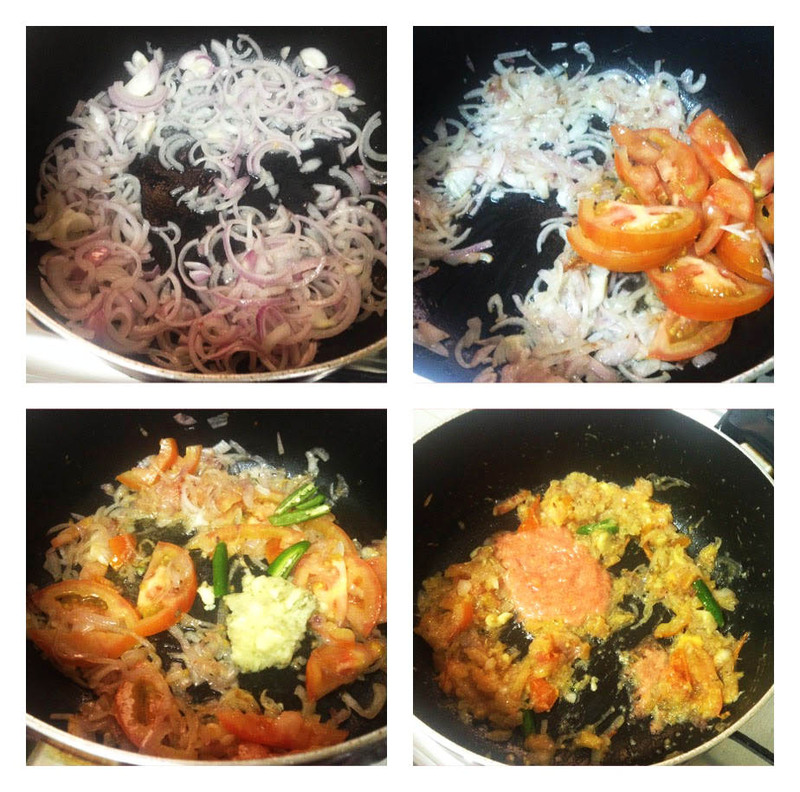 Saute well for few minutes. 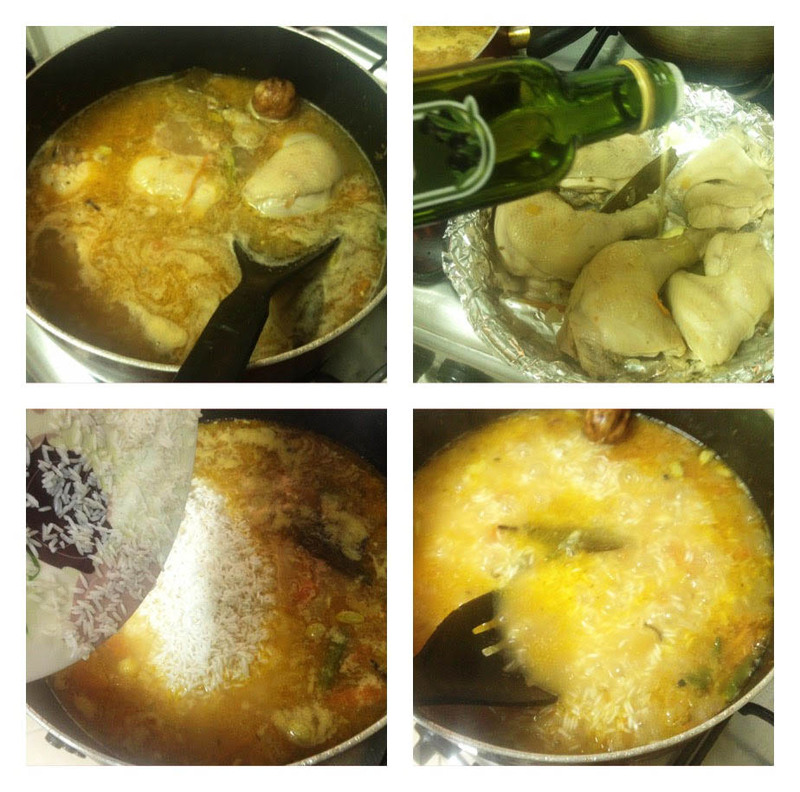 Add the chicken pieces with skin and turn it over few times. Let it mixed up well with the spiced gravy. Now add 3.5 cups of water. The amount of water depends on the amount of rice only. I took 2 cups of rice, so actually double the cup of water is required. But the rice i took needs only less amount of water to cook. So add water according to the rice you used. Cover and cook for a couple of minutes or until the water boils. Now check for salt if required and take out the half cooked chicken with skin to a baking bowl over a silver foil. Drizzle lemon juice and olive oil(2 tbsp) over it and bake until the chicken becomes golden. It will take around 15 minutes at 170 degree C.
Now add the soaked and drained rice to boiled water and let it cook for 5 minutes in a medium flame. Then reduce the flame to low and cook until the water dries out. It took around 15 -20 minutes. When done open the lid and mix the rice gently. Meanwhile chicken will be ready. If the baked chicken leaves plenty of water in the baking tray, u can just dry out it by heating the chicken and water simply in a pan. Serve the rice into a serving bowl and top it with chicken pieces. Flavorful, tasty, rich chicken machboos ready. Serve it with Raita and Lemon Pickle.